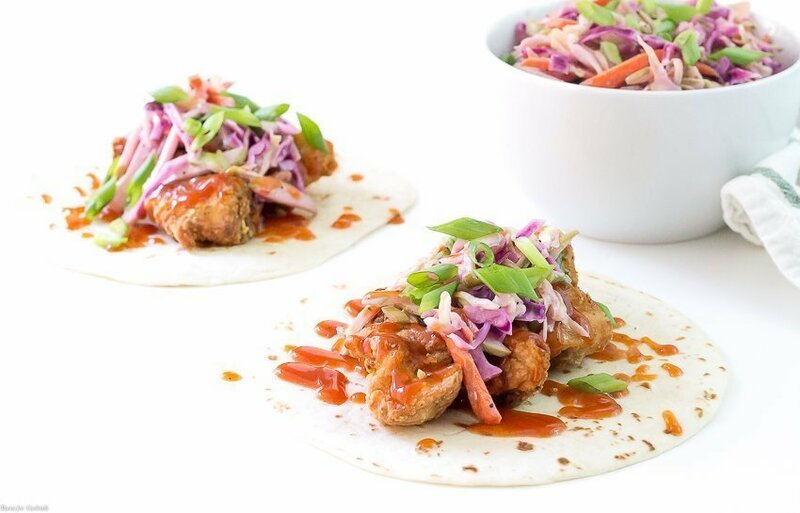 Your #tacoTuesday game is guaranteed to be strong when you whip up these BBQ Fried Chicken Tacos! Some dishes are just made to be customized and tacos are at the top of the list. All I have to do is adapt some of our favorite recipes, toss everything into a tortilla, and we are business. This is Paul’s favorite day of the week. Hands down! We had these delicious pulled pork sandwiches recently with my Honey Whiskey Barbecue Glaze and a simple coleslaw that were simply divine. The combo was spot on so why not repurpose it into another great recipe! With the kid heading down south for basic training it has really made me think about my time in service. Plus all the amazing foodie experiences along the way. 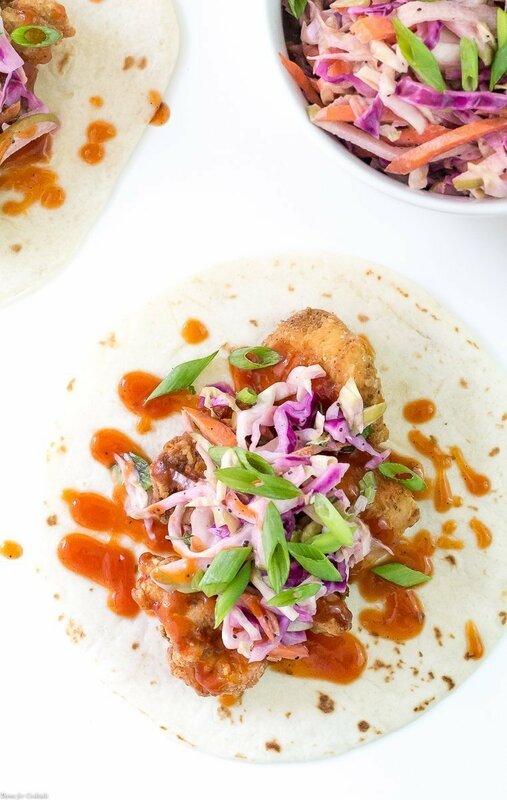 Things like the crispy tender friend chicken in these BBQ Fried Chicken Tacos inspired by my time in lower Alabama. 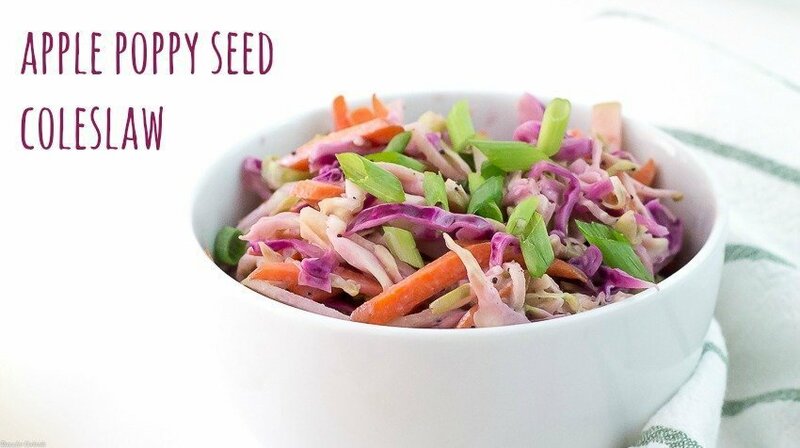 It pairs perfectly with the Apple Poppy Seed Coleslaw which is pure seasonal magic! 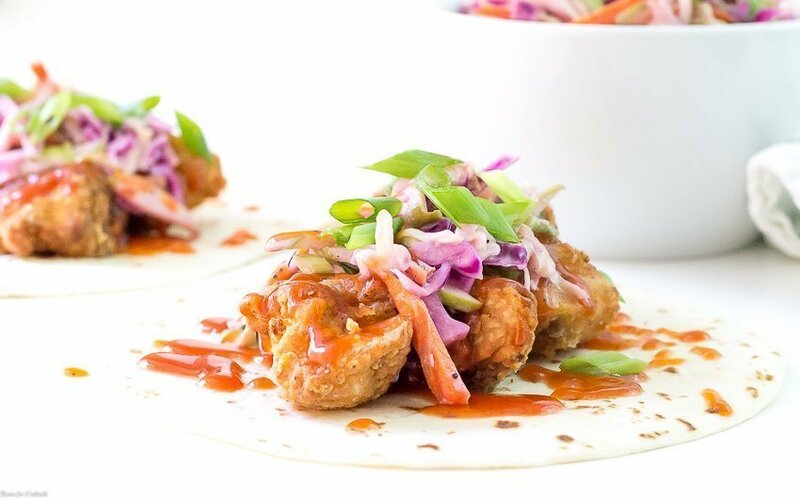 These BBQ Fried Chicken Tacos are so damn good, trust me when I say they taste as good as they look! 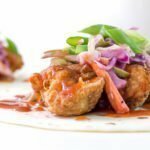 What is your favorite unique taco idea? Share ideas in the comments! 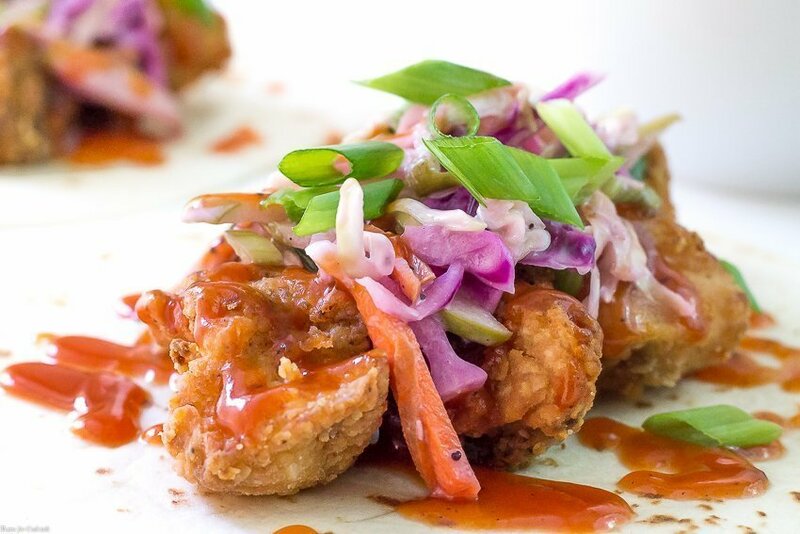 I hope you like this BBQ Fried Chicken Tacos recipe as much as my crew does. If you love this fresh, seasonal soup recipe, you can find more like it by checking out my Taco section! For daily recipe inspiration, subscribe to my newsletter, follow me on Instagram, and for generally inappropriate humor follow like me on Facebook! Heat 2 inches oil in a large Dutch oven to 350°F. Place flour, seasonings, and chicken in a large plastic zippered bag. Seal bag and toss to coat chicken. Working in batches fry chicken, 3-5 minutes until golden brown and cooked through. Place on a paper towel lined plate to drain. Heat tortillas on a griddle or in a skillet. Add chicken to tortillas, top with desired amount of barbecue sauce and coleslaw. Serve immediately. Oooh they look good, yum yum!! One of my favorite taco combos of late is a sweet potato/cauliflower taco. Can’t wait to give yours a try!